This soup is very good, hearty, and tastes even better the next day. If you don’t like chorizo, you can substitute with extra firm tofu. Nutritionally, this soup is packed full of protein and is low in calories. For those that are on tight budget, this should be one of your go to soups. Ever wonder what to do with all that left over turkey? 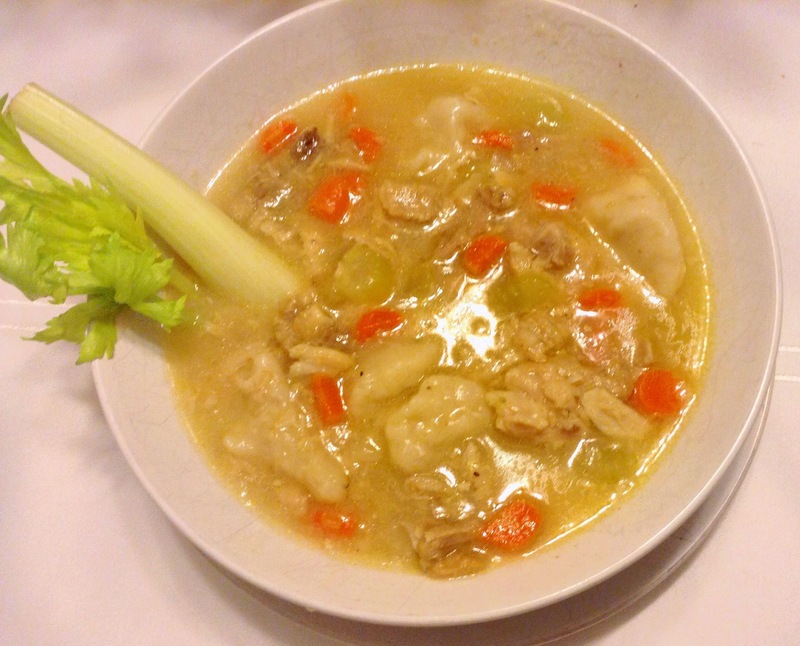 How about create a delicious turkey and dumpling soup with vegetables. This recipe is hearty, easy, and full of great nutrition! Combine turkey, chicken stock, bay leaves, small chopped onion, and seasonings in a large pot. Cook on low for 30 minutes. Then add celery and carrots and let cook for another 10 minutes. Drop biscuits into broth and cook on low for another 20 minutes. Enjoy! Add the onions, garlic and mushrooms and cook until the onions are soft, about three minutes. Add 1 tablespoon of flour and stir to coat the mushrooms. Heat to thicken and stir constantly. Add about 1/4 to a blender and put a towel over the blender top to keep it from spilling out. Blend intermittently alternating between on and off until smooth.